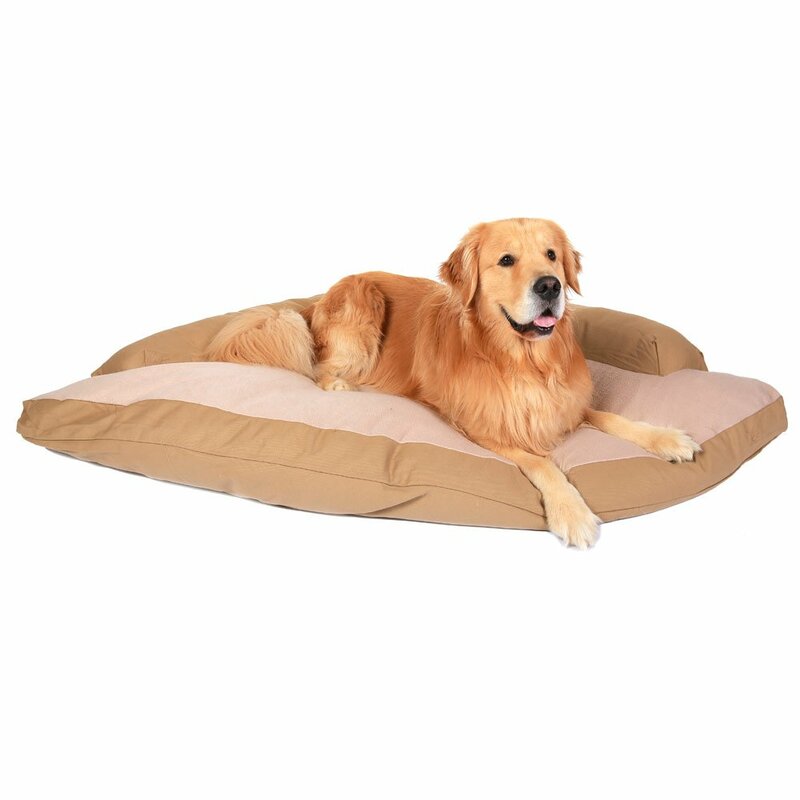 The Caddis Corner Dog Bed features a space-friendly corner design with bolstered border. This pet bed will fit nicely in any corner, freeing up floorspace for the bipedal members of your household. With a premium oatmeal-colored Sherpa top and poly-cotton bolster upholstery, this dog bed combines comfort to please your pet with tasteful styling to complement your decor. Both the poly-cotton cover and removable liner are washable and dryable for easy maintenance. Hypro-loft filler creates superior loft and shape retention for lasting ergonomic comfort.